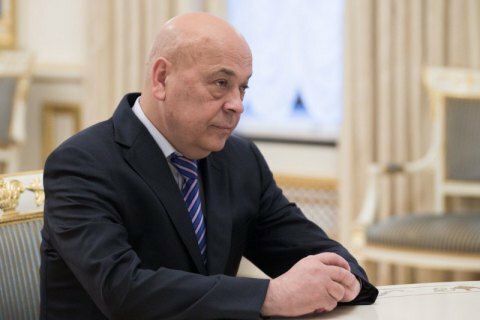 Moskal asked the prime minister to initiate his dismissal. The head of the Transcarpathian regional state administration, Hennadiy Moskal, has asked Prime Minister Volodymyr Groysman to initiate his dismissal after the recent appointment of the acting chief of the Transcarpathian customs office was not agreed with him. In a letter published on his official website, Moskal said that while the smuggling of tobacco and timber was the burning problem of the region, the new appointment, in his view, was giving green light to cigarette contraband across the national border. He recalled that the Law of Ukraine "On civil service", effective as of 1 May, provides that appointment to any civil service posts is held on a competitive basis. This appointment of the head of the Transcarpathian customs took place without the consent of the local authorities and, according to Moskal, was made in the interests of "tobacco mafia" engaged in smuggling to the EU. "With this in mind, I do not see any reason to further exercise the duties of the head of the Transcarpathian regional administration and […] so I ask the prime minister to submit a proposal to dismiss me to the president," Moskal wrote. Earlier, Moskal said that the contraband of tobacco products had moved from the Transcarpathian region to Chernivtsi.